Applications: For the removal of light to medium scratches from all types of glass. Suitable for toughened glass, windscreens, aquariums, glass table tops and windows. For use on slow speed drills, max 2,000rpm. Will remove scuff marks, lime scale, hairline scratches. We recommend reading the supplied instructions before use in order to get the best results. 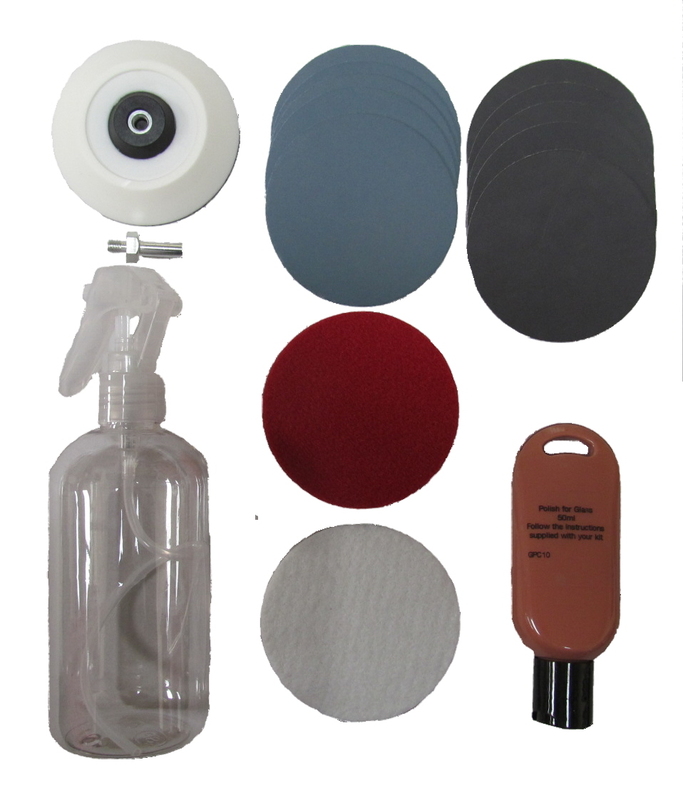 75mm abrasive and polishing system. Spindle mounted holder for use on a drill chuck.